Today, our hearts are filled with joy and we want to share the happiness of receiving our compañero Roberto Paciencia Cruz in liberty. It has been three years and four months of struggle and resistance inside and outside the prison walls. Moments like this demonstrate that walking and planting the seeds of social and collective justice will end giving a harvest of the fruits of liberty. 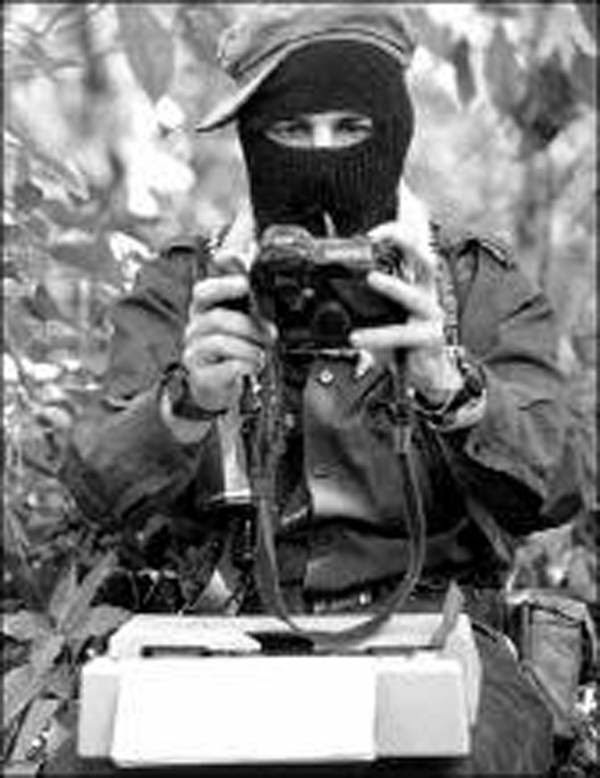 Roberto, ex-prisoner and adherent of the Sixth Declaration of the Lacandona Jungle of the EZLN, is one of those people who will not remain silent, who will not legitimize barbarism, and who is willing to assume the consequences of his scream of consciousness and rebellion. Through his voice, Roberto has denounced the violations of human rights that the incarcerated population suffers at the hands of the prison authorities and he has inspired the awakening of other prisoners inside the prison walls. This was another case of the racist and classist state justice system for which being poor and indigenous is a crime sufficient to be incarcerated. But also, it is an example of how prison can be another trench of struggle, where one can continue the work of those who have struggled before, and set an example for those that continue struggling for their freedom. This week various events have taken place to spread information and accompany the case of Roberto. This was particularly important, as tomorrow was the deadline for the judge to give his sentence of conviction or acquittal. Yesterday an event was held where families and compañerxs of Roberto gave testimonies, inviting the people that move below and to the left to maintain alert to the impending judicial resolution. Today, since 9am, a concentration of people was maintained in front of the cathedral in San Cristóbal de Las Casas to make the case visible. Simultaneously, a commission was sent to the Central Estatal de Reinserción Social de Sentenciados (CERSS) No. 5 to accompany Roberto in person, and to provide pressure before the resolution of the judicial process. At one in the afternoon, the judge acquitted our compañero and at 5:30 they opened the doors for him to leave the prison behind, and to newly recover his freedom. Amongst screams of “Freedom, freedom to the prisoners in struggle”, tears of excitement, happiness, and the sound of the Zapatista hymn, Roberto Paciencia arrived at the Plaza of Resistance at 6pm to reunite with his family, compañerxs, and friends. Today we managed to overcome a serious obstacle, but still, we reaffirm our commitment to struggle until everyone obtains their freedom. Until all the walls are torn down!